Peter Howson served as an army chaplain for twenty five years completing his service as the Principal of the Armed Forces Chaplaincy Centre. During his time in the army he completed an MBA that looked at organisational structures in religious and voluntary bodies. When he returned to civilian ministry, as the Superintendent of the Inverness Methodist Circuit, he completed a PhD at Aberdeen University. His thesis discussed British army chaplaincy between 1960 and 2000. During the research he became convinced that the roots of contemporary army chaplaincy lay in decisions made during World War One and set out to discover how these had been reached. He is currently a Methodist minister in Surrey. He has contributed to the work of the Society for Army Historical Research and has been a member of its Council since 2012. He has recently contributed chapters to two books on chaplaincy, one about the wider World War One experience, and the other, Chaplains, Churches, and the Morality of Conflict: Military Chaplaincy in Contention, on contemporary chaplaincy in Afghanistan. "For those interested in how the Church responded organizationally to the Great War this is a comprehensive and fascinating account." 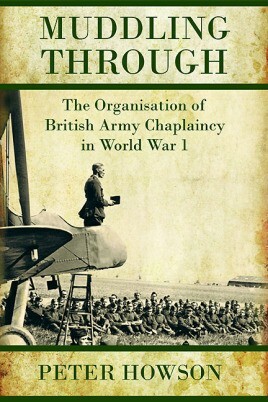 "...provides carefully researched information about the organisation of First World War army chaplaincy." "...an essential book on this interesting subject."